TURKEY PACKS! | the wine snob. Here’s some more information about our Turkey Wine Packs, complete with pretty pictures! see below for ordering instructions! Good friends- we’ve all got ’em! Got a lot of ’em? This pack is perfect and an unbeatable value if you need to stock it up/pack it up/pack it in for your feast. 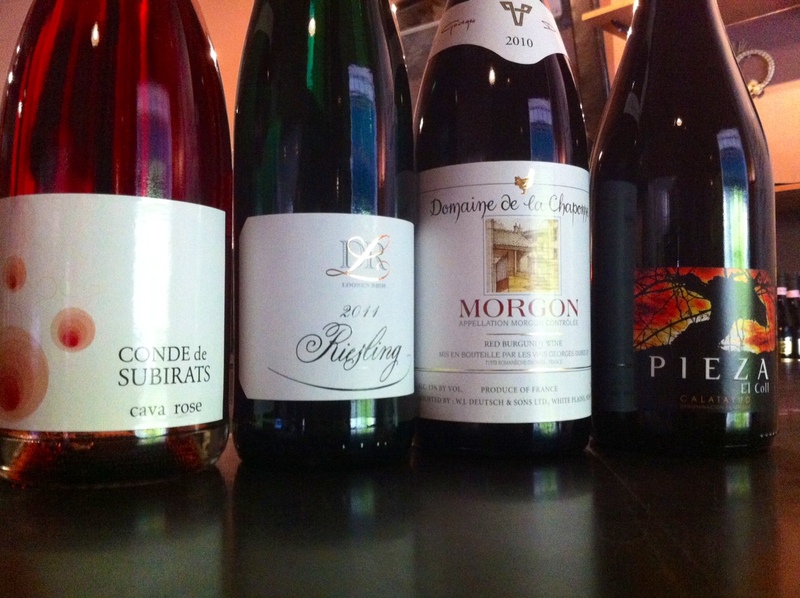 This group of four will have you drinkin’ well for less than $50. 1 Morgan “Twelve Clones” Pinot Noir, 10 California, Santa Lucia. we got a nice surprise yesterday, when *after* we’d decided to put this wine in this pack, it got named to Wine Spectator’s Top 100 Wines of 2012! 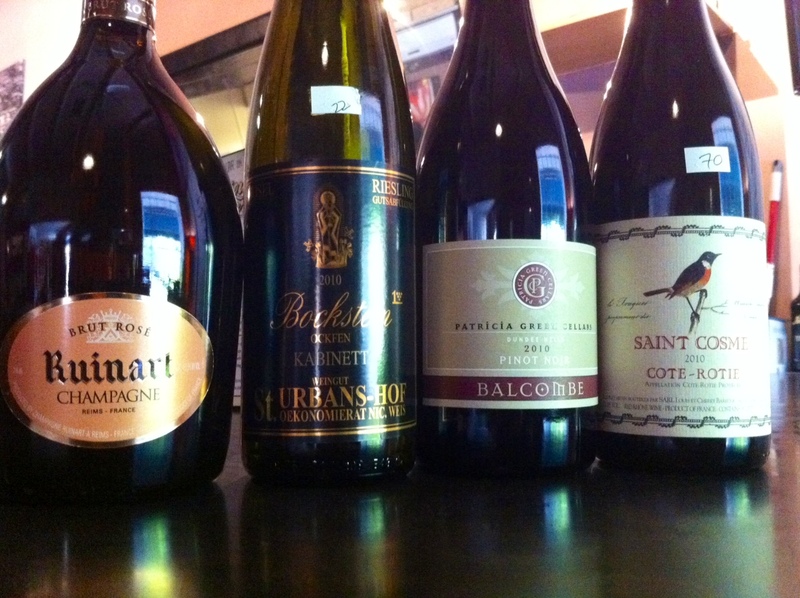 We opened one for this past Saturday’s wine sale, and it went over verrrry well! it’s everything a Cali Pinot should be; ripe, round and fruit-driven but with fantastic accents of vanilla and spice. This is one you’ll wanna keep drinking. normal retail $25. 1 Giant Wine Company “The Ghost of 413” Cab/Merlot/Syrah blend, 09 Washington, Columbia Valley. a slick little bottle, this wine is very new to South Carolina and packs classic Columbia Valley dark fruit and an uuber-smooth palate. 90% Cab/10% Merlot & Syrah. very drinkable and not weighed down. normal retail $19. 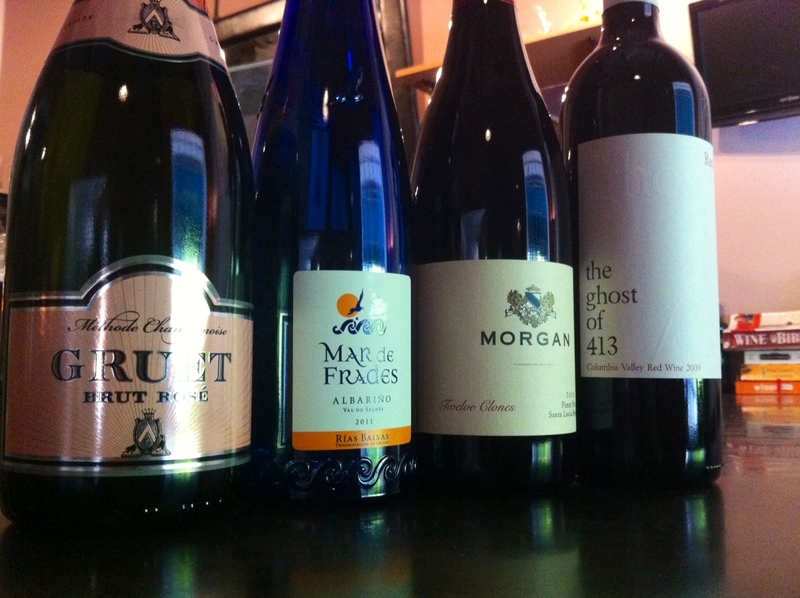 Alright, so since we’re big ol’ nerds AND we like to sell wine, we HAD to offer a Reserve level pack. The cool thing is- these bottles would cost you $220 individually, so truth be told, $175 is a total steal even though it’s no small amount of money. 1 Ruinart Brut Rose, NV Champagne. sexiest. Champagne. ever. don’t have to say much else. you’re missing out on a crucial delicious element of life if you’ve never had this. you’ll never be the same. normal retail $80. 1 Patricia Green Cellars Pinot Noir, 10 Willamette, Balcombe Vineyard. a teensy-weensy little 7-acre vineyard site produced just 475 cases of this wine. Patricia Green Cellars are classic Willamette winemakers; a non-interventionalist approach makes for pure, pristine Oregon fruit with aging potential. deep flavors of plum and coffee are found amongst feminine red fruits. normal retail $46. 1 Chateau de St. Cosme Cote Rotie, 10 France, Cotes du Rhone. 100% Syrah from suuuper old vines. a powerful wine with flavors of bacon, smoke, graphite, black pepper, violets, and smoky ash. only the Rhone could make this wine! It’s sibling, the 2010 Gigondas, was just named the #2 Wine of the Year by Wine Spectator! 92 Points Parker, 94 Points International Wine Cellar! normal retail $70. **important** if you’d like to order a wine pack, please email cellarongreene@gmail.com with which pack (or individual bottle) you’re interested in. Include a phone number so we can holler at you for your payment info securely over the phone. orders can be filled relatively quickly, so act now!! and Happy Thanksgiving!